Nearly two generations have passed since a Business Week article proclaimed the first “standalone editing typewriters” would revolutionize the way we work, creating a paperless “office of the future.” Now, 38 years after that disco-era prediction appeared in the magazine's June 30, 1975, issue, the promise of a paperless office is finally coming to fruition. The ecological benefits of consuming less paper are obvious, as are the benefits of freeing up office space previously needed for filing cabinets and boxes full of documents. The cloud computing strategies that work for the Department of Defense can work just as well for your company. 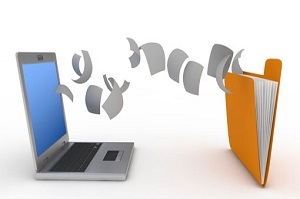 Going paperless creates specific advantages for companies and individuals who need to share documents securely. 1. Documents won't fall into the wrong hands. Paper documents are inherently insecure. 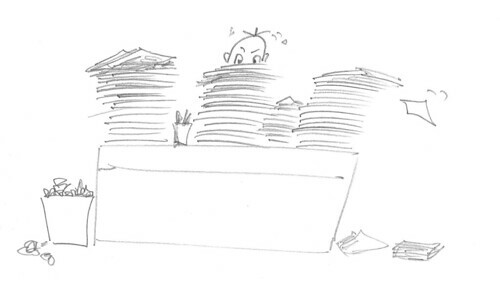 Even an accidental sidelong glance at a paper file left open on a desk could violate confidentiality agreements. Filing cabinets are vulnerable to deliberate snooping and theft. Encrypting documents online makes them invisible to competitors and other people who should not be seeing them. 2. You will be in charge. Controlling access to paper documents requires a human gatekeeper – an expensive and unreliable solution. By storing documents online, you automate the process with tools that let you decide exactly who may or may not have access to each individual document. You can grant and revoke access whenever you need to, as circumstances change. You will also have a reliable record of who accessed the documents and at what time, enabling you to keep control of the process at all times..
3. You will not be tied down to the office. Having to be in a specific place to access documents ties you down and wastes your time. Break free from the office. You can access documents stored online from any device anywhere, which fits the way you live and work now. 4. You will save time with quick and easy information retrieval. The days of rummaging through filing cabinets are over. There is no need to waste time searching for information that may be scattered in different files or may have been misfiled and impossible to find. Online storage lets you search all your documents at once for near-instant access to the information you need when you need it. 5. Important documents will be better protected. Paper documents can be easily destroyed by fire or flood. Theft or even simple misfiling can make you lose vital information. Storing documents online is much safer. Don't waste your time with disco-era document storage solutions. If you need to share documents with people outside of your company, online document storage is the only thing that makes sense now.